Launch a successful Assertive Discipline® program with practical ideas for planning lessons, promoting cooperation, and gaining parental support. Save time with age-appropriate reproducibles and teacher worksheets. 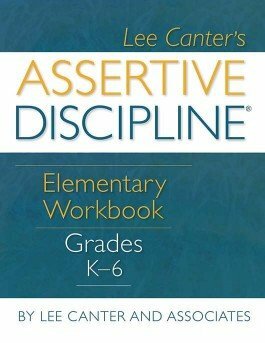 A companion piece to Assertive Discipline, this workbook contains a variety of time-saving and age-appropriate reproducibles and teacher worksheets that complement the Assertive Discipline behavior management program and include practical ideas for planning lessons, promoting cooperation, and gaining parental support. The easy-to-use format gives teachers the concise guidelines they need to succeed with the program. Plan beginning-of-the-year lessons that teach students to choose responsible behavior in all classroom situations. Promote a positive, cooperative learning environment for all students. Document and organize your behavior management program. Reference sample lesson plans for teaching responsible behavior.